"Salutations to the One who is United with the Omkara, the Source of All; the One on whom Yogis constantly meditate; and the One who grants Liberation from all desires. Salutations to that Shiva who is the Embodiment of the Omkaara, the very first syllable of the Shadakshara (six-lettered) Mantra, "Om-Na-Ma-Shi-Vaa-Ya". 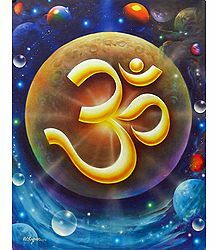 Om, also written and pronounced as Aum, is considered by Hindus to be the mystical, primordial sound, which gave rise to the entire Universe. This view is also upheld by other related religious schools of thought, such as Buddhism and Jainism. The symbol of Om is placed at the very beginning of most Hindu texts. In fact, many Hindus make a habit of writing down this syllable in every new page of a text or diary they maintain. The incantation of this sacred syllable is considered auspicious for undertaking any new venture. The sound of Om is intoned at the beginning of reading all major Hindu religious texts, including the Vedas. 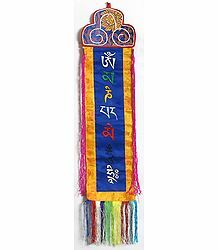 This sacred mantra is also chanted at the time of performing religious rites and rituals and is used to invoke the Gods to grace the event and partake of the offering. The Omkaara or the Aumkaara, which is the syllable of Om, is also referred to in Sanskrit as the Pranava mantra, or that which is literally "sounded out loudly". The Sanskrit word "Pranava" comes from the root, "nu", which implies, "to shout" or "to sound". "Pra-nu" is a verb, which means, "to make a droning or humming sound". This is regarded as being the most powerful ekaakshara mantra, consisting of only one syllable. The Taittiriya, Chandogya and Mandukya Upanishads talk about Om being the highest ever spiritual entity, attributed to the creation of the entire world. The "A-kara" here implies the existence of things with concrete form and shape, such as trees, earth and so on. "U-kara" signifies anything formless, such as ari, water, fire and so on. "M-kara", on the other hands, implies things which neither have shape nor are shapeless and yet pervade the universe, such as cosmic energy. The combination of the three syllables forms the complete picture, the AUM, thus containing the whole universe within itself. The sacred sound of Om encompasses the entire life of a Hindu, right from the minute he takes birth, to his last journey and rituals associated with that as well. 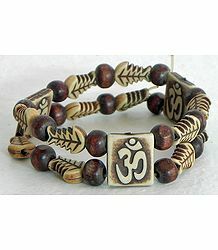 That is again why it is referred to as the Pranava mantra; the one which encompasses Hindus' every prana or life breath. Om is a sign which veritably symbolizes Hindu philosophy and theology. According to Hinduism, this chant is the Primordial Sound, the one that created the entire Universe as we know it today. Hindus believe that there was a state of Shunyaakaasha (literally meaning, "no sky") or nothingness before creation began. This state does not mean that nothing existed. It merely implies the latent state of the universe before the process of creation was set into motion. Once the process of creation commenced, the Brahman or the Supreme Consciousness assumed the form of the very first vibration, manifesting itself as the sound of "OM". Hence, the vibration of "Om" represents the "Saguna Brahman" or the manifestation of God in physical form. "Om" also represents the absolute reality, and is "Adi Anaadi" in quality, meaning, it is without beginning or end and universally embraces all that is in existence. 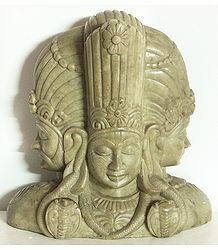 The three-syllable mantra, "A-U-M" represents the three aspects of Creation, Preservation and Destruction, embodies by Brahma, Vishnu and Shiva respectively. 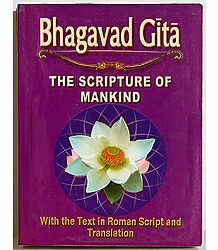 The Bhagavad Gita states that he who chants the mantra of Om, while constantly thinking of the Supreme Godhead, is bound to attain moksha in this lifetime. He who leaves his body while chanting this mantra is sure to reach the highest state of eternity. The Mandukya Upanishad, the shortest of the Upanishads (scriptures of the Hindu Vedanta), comprises just 12 verses and expounds the mystic quality of the Aum. It describes this sacred syllable as the symbol of three psychological stages of wakefulness, dreaming and sleeping, also explaining the fourth state of transcending all these three stages, proceeding towards illumination. According to this Upanishad, there are 3 matras or syllables in the word "Aum". Here, "A" represents the first state of wakefulness, wherein our five senses, along with our minds, remains completely active and sharply aware. The "U" symbolizes the dream state, which gives rise to deep inward experiences, thereby tapping the power of the largely dormant subconscious mind. The "M" represents the last state, the state of deep sleep, where desire no more exists and it is pure consciousness all around. The Upanishad states that there is a fourth state which transcends all of the above-mentioned states. In this state, the consciousness is neither turned inward nor outward. It is neither knowing nor unknowing; neither visible nor invisible; and neither tangible nor intangible. 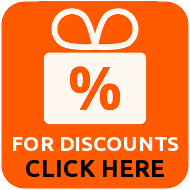 It is nirguna or devoid of characteristics; is indefinable, indescribable and unintelligible. It is the pure essence of the consciousness of the Self or the Atman and represents the state where all relative existence comes to a standstill. This fourth and ultimate state is utterly serene, peaceful and blissful and grants the seeker complete enlightenment. This Upanishad also considers "Om" as the eternal syllable which encompasses within itself, the past, the present and the future. Yet, it is also the entity that is detached from the above and is beyond time and space. Further, the Mandukya Upanishad also describes Aum as the combination of three phonemes - "A" (Vaishvanara), "U" (Hiranyagarbha) and "M" (Ishwara) - which together represents the beginning, continuation and dissolution of the Universe, also respectively represented by the Hindu Divine Trinity of Brahma, Vishnu and Shiva. According to Arya Samaj tradition, the Omkaara is considered as the name of God and could be translated as "I am Existence". The above is the Gayatri Mantra, which is considered to be the most sacred of Hindu mantras or chants. The Gayatri Mantra is made up of 24 syllables, including 24 beeja (root) aksharas, giving rise to a soothing, elevating effect on the consciousness of the practitioner. Interestingly, this mantra goes past being merely a physical chant and is actually a symbolic and metaphysical one. 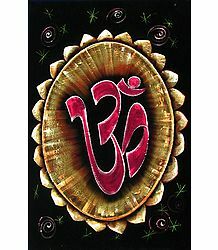 Here, "Om" represents the Supreme Consciousness or the Atman or Brahman. Bhur, Bhuvah and Svah are the three planes of consciousness. Simply put, this prayer seeks to train the mind to develop wisdom and awareness, thereby enabling the individual's consciousness to rise above the mundane world or the samsara. This chant also aims to teach the seeker to control his or her mind in order to develop the power to achieve whatever it conceives or believes. In the Puranas too, the syllable "Aum" represents the Divine Trinity, also symbolizing the Rigveda, Samaveda and Yajurveda respectively. The letter "A" represents Brahma's golden nucleus, which gave rise to the entire creation. The letter "U" signifies the power of Vishnu, who balances and preserves the world, by balancing a lotus springing forth from his navel, having Brahma sitting on it. The letter "M" represents the final part of this cycle of creation, that is, dissolution. When Brahma falls asleep, Shiva comes into the scene, so as to disintegrate all living beings and absorb them unto himself. The Puranas further state that Aum is the original sound and that all the other sounds, languages and mantras of the world have come forth from it. According to the philosophy propounded by the school of Advaita, the Aum represents a triune, which is quite a common occurrence in Hinduism. This philosophy states that in order to come out of our own world of maya or falsehood, we must go beyond the body, mind and intellect and understand our own infinite, limitless nature. One hence needs not only to step back and see how existence really works, but one has to also become it, in order to attain a state of moksha of complete liberation. When the seeker realizes the truth, he or she becomes that knowledge and expands his or her consciousness to actually become it. Om is the embodiment of that ultimate truth which leads the seeker to Samadhi or salvation. In Jainism, "Om" is that syllable which has been created from the initials of the five Parameshthis, namely, Arihant, Ashiri, Acharya, Upajjhaya and Muni. Hence, the chant, "Om Namah" is a shortened form of the Navkar Mantra. Like Hindus, Buddhists also use "Om" in the beginning of their Vidya-Sadaksari, "Om Mani Padme Hum", as also in their major mantras and dharanis. The bija mantra of "Aum" is regarded to be supremely sacred in Esoteric Buddhism. In its original form, Buddhism in Nepal hinged heavily on mindfulness and meditation. At this point in time, there was no chanting of aum or any other mantra. But mantra chanting and the chanting of aum came into being with the advent of Tibetan Buddhism, which came under the influence of Hinduism. 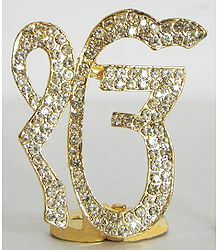 The term, "Ik Onkar" is popular in modern Punjabi and is also represented in the Guru Granth Sahib to denote the concept of "One God" in Sikhism. In the word "Onkar", God is considered to be the "Omkar" or "Onkar" - the One who created "Om". In Sikhism, therefore, the word "Om" is used merely to denote its monotheistic character, without actually attaching a philosophy to itself. Paramahamsa Yogananda Speaks about "Om"
The great Yoga teacher and spiritual leader, Swami Shri Paramahamsa Yogananda, speaks about Om or Aum. In his very popular work, "Autobiography of a Yogi", the Swami talks about how Patanjali referred to aum as the Cosmic Sound which is often heard during meditation. 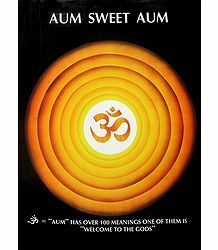 He states that the vibratory sound of Aum is the indication of the Divine Presence and is the Supremely Creative Word. The syllable of "Om" pervades the lives of all Hindus, actually becoming part and parcel of their lives. Devout Hindus start their everyday worship with the chant of this sacred mantra. Others prefer to write this at the head of all their letters and other written material - even sometimes in their examination papers. 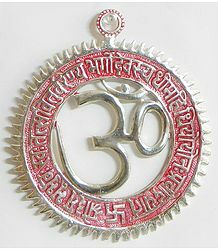 While most Hindus place the symbol in their personal prayer rooms, many also wear the sign as pendants. During meditation, chanting of Om and concentrating on its drone helps the mind relax faster and focus better as well. The mind then stops being restless and comes within the seeker's control, thereby enabling him to travel deep within himself and discover his own divine nature. This simple, yet profound, symbol signifies both the nirguna (unmanifest) and saguna (manifest) nature of the Supreme Brahman. In the modern world, the incantation of Om has become universal, crossing all geographical, religious, cultural and philosophical boundaries. The symbol of Om has emerged to become popular in contemporary body art and is used in tattoos as well. It has become a vehicle for spiritual seekers to attain a state of complete silence during meditation, so as to go within oneself and contemplate the inner self.